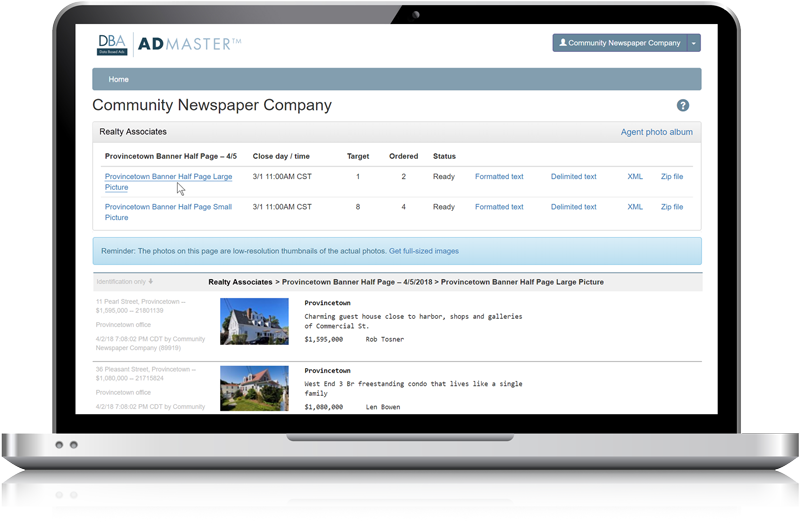 AdMaster™ allows a publisher to access data for specific ads between the close of ordering and the publishing deadline. Publisher access bridges the gap between our clients' wanting to control the look, format and content of their ads, with having to do the production in-house. 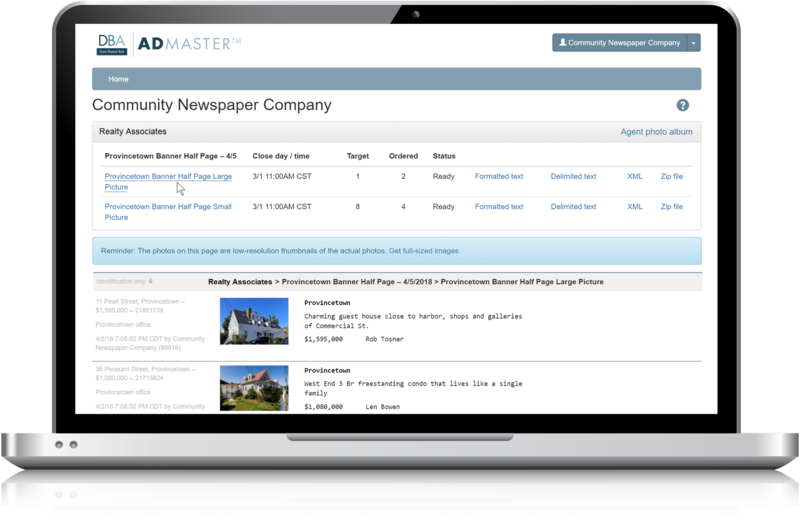 The AdMaster™ publisher interface delivers ad content by section, with the correct section headings, in the correct sort order, with the content of the ad clearly accessible. This data can be selected and pasted directly into the standard template by the publication design staff without re-keying. Proofing is finalized online, before the Ad Manager-controlled release of the data to the publisher for production. Alternately, the publisher access module makes XML file data available that can be imported directly into an XML-structured InDesign template, for even more accuracy and efficiency. Giving a publisher access to the AdMaster™ ad content preserves the integrity of the data and virtually eliminates errors, but without any internal production cost. The DBA client service team will train your publishers to access the data on your behalf.